BATON ROUGE — Red River Bank of Alexandria made its entry into the Baton Rouge market Tuesday with the acquisition of Fidelity Bank of Baton Rouge. Fidelity Bank has had five branches, including the main office at 9400 Old Hammond Hwy. in Baton Rouge. Branches are at 14545 Wax Road in Central, 5350 Jones Creek and 9655 Perkins Road in Baton Rouge, and 12509 Highway 73 in Dutchtown. Fidelity Bank president Joanie Netterville will become Baton Rouge market president for Red River Bank and continue to oversee Baton Rouge operations. She said the move will allow the current Fidelity staff to continue to serve Baton Rouge customers with the personal attention that comes with a community bank. Red River Bank is a relatively young financial institution, which has been very successful. Red River Bank president/CEO Blake Chatelain said the bank, which was founded in 1999, today has 35 percent of the market in the Alexandria area. It opened in the Shreveport market in 2004. Today it has $1.3 billion in assets. Nearly 85 percent of the Baton Rouge market is controlled by major banks. 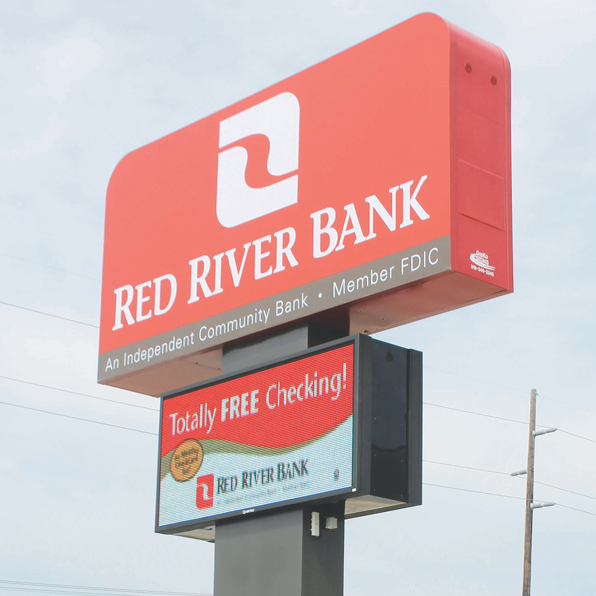 Red River could have the capability of increasing the market share of community banks here. Chatelain, a native of Avoyelles Parish who serves on the LSU Board of Supervisors, said he is happy to be in Baton Rouge and so is his wife Belle, who is from Baton Rouge.